WHYY is the Greater Philadelphia Region’s leading public media company and PBS/NPR affiliate. Our mission is to strengthen the republic by engaging our citizens as full partners in the conception and execution of content, and advancing civic life through storytelling, education and civic dialogue. WHYY provides a rich variety of Arts & Culture, News & Information, and Education content offered throughout the region 24/7 via WHYY-FM, WHYY-TV, online via whyy.org, and through in-person programs. WHYY is renowned for the educational kids programs it broadcasts on TV, but when it comes to supporting kids, that’s just the tip of the iceberg. 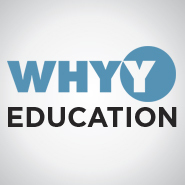 WHYY’s education initiatives support children and the parents, teachers, and other adults who care for them. Programs include: WHYY Media Labs Program, serving 34 schools in Philadelphia; WHYY Afterschool; Summer & Spring Break Camps; Educator Professional Development Courses; Adult Learning Courses; Field Trips; PBS Kids Character Visits to daycares.